WOW! 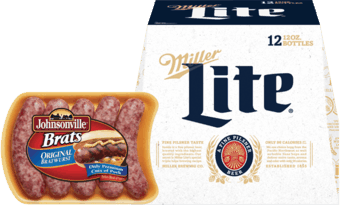 Check out the GREAT Miller Lite & Johnsonville IBOTTA OFFERS! Labor Day Picnic Savings ROCK!! Earn up to a $3.00 rebate on ONE (1) 12 pack or larger of Miller Lite (bottles or cans) AND any ONE (1) 19 oz. package of any Johnsonville product. THAT PAYS YOU CASH BACK !! !